DOUBLE Book of the Month - Aeroplane Monthly & Ships Monthly!!! 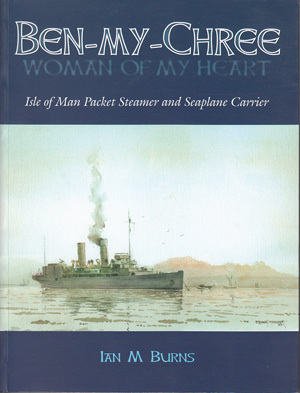 This absorbing volume traces the extraordinary career of an Isle of Man Steam Packet Company ship, the third to carry the Ben-my-Chree name, but the only one to become an aircraft carrier! Having entered passenger service between Liverpool and Douglas in 1908, on the outbreak of the First World War it was taken over by the Royal Navy and converted into a seaplane carrier, finally being lost to enemy action in the Mediterranean in 1917. This very complete history of the ship concentrates especially on the pioneering role in the navy that made it famous, and the related naval operations. 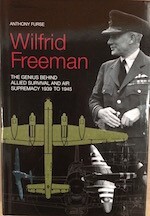 An extraordinary collection of photographs of the ship itself, related vessels, aircraft of the Royal Naval Air Service and the enemy, personnel, vehicles, maps and diagrams complements the text, the result of some 30 years of intermittent research by the author. Although there are only two pages of colour in the book itself (a Turkish officer's graphic water colours of the shelling that ended Ben-my-Chree's life) clever use has been made of the front and back covers to present a general-arrangement drawing of the ship as fitted out in 1915, two more maps and four full-colour side elevations of aircraft connected with the ship's activities. Any self-respecting student of First World War naval aviation should have this volume in his collection.